Annaleise, Daisy's mother, was a example of why one should always have good fences between does and bucks ! 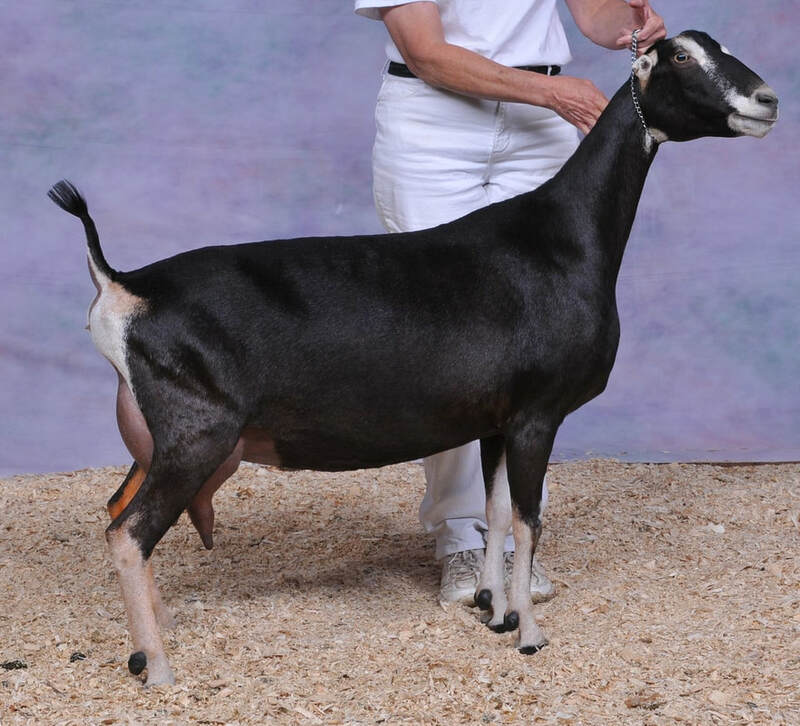 The resulting lamancha/ nubian cross Annaleise (Sonara x Lightning) combined the best of both. We bred Annaleise to the Captain to produce Daisy...and we are very pleased with her general appearance. 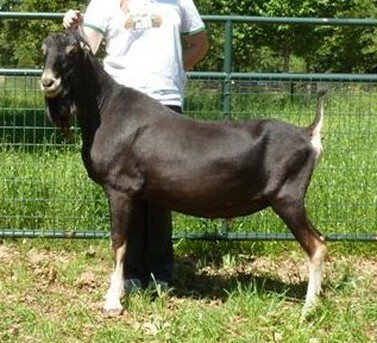 We had her for sale until we took her to her first show at 7 months old. This girl LOVES to show and has done VERY well every time ... with 7 Grand Champion win and 5 Reserve Champion wins before her first birthday! She easily finished her GCH in her first two shows of 2015 as a first freshener. Her mammary is the same "cookie cutter" mammary we seem to see in all of our Captain daughters. Her kids are first step lamanchas (american). 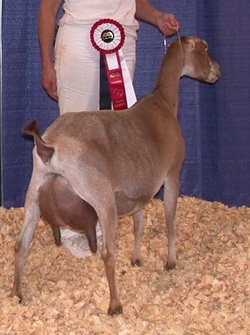 Her doeling, Flower, from 2015, was grand champion and Best Junior Doe in Show twice, and we only showed her twice in 2015 !!! 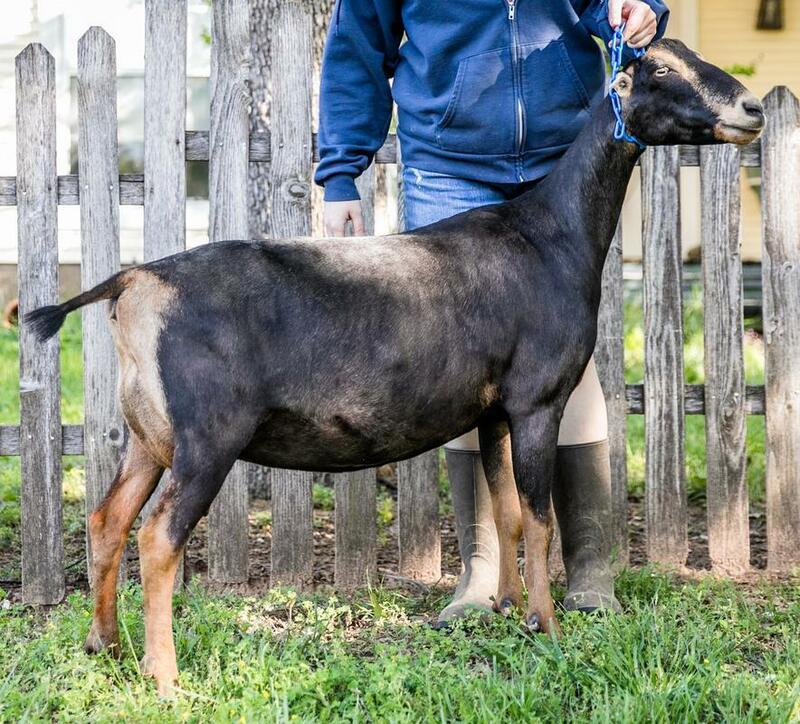 Daisy's 2016 daughter Holly, out of Cooper, will hit the show circuit soon was 2x 1st place as a yearling first freshener in the only two shows she attended. Her 2017 daughter Juniper also has a bright future here at Latte Da. Daisy was 7th place in her class at the 2017 ADGA National Show!